Based on a wide variety of government and civic records, this book traces the evolution of the changing nature of city status, particularly through the nineteenth and twentieth centuries. Beginning with an explanation of how city status first became connected to cathedrals in the medieval period, the book explores how during the nineteenth century, links evolved between Anglican diocesan sub-divisions and city creation. It then shows how in a few years, between 1888 and 1907, the traditional interpretation of a city was overturned as the most major British industrial and commercial towns received city status and lord mayoralties. 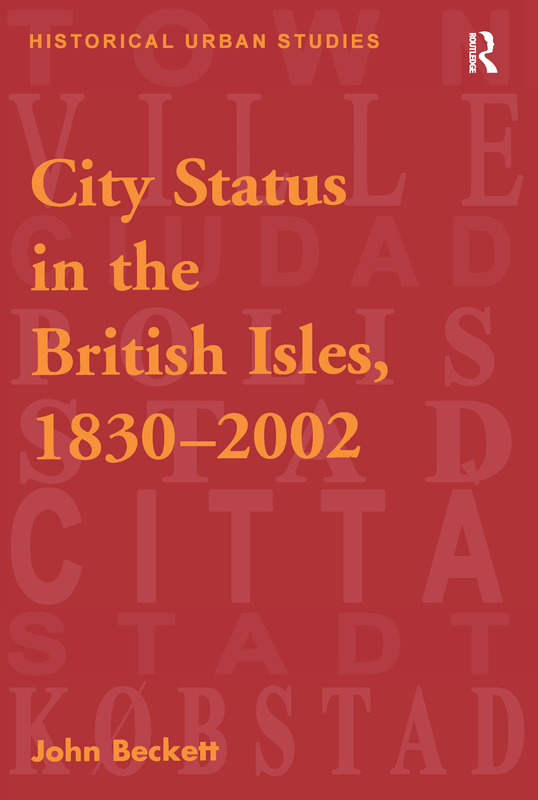 The second half of the book concentrates on city status during the twentieth century, and particularly the politicisation of the process and the linking of grants to royal occasions. The study concludes by looking at the city status competitions of 2000 and 2002 in relation to the previous two hundred years of city history. Contents: Introduction; The city in British history; Civic rivalry: Manchester and the quest for city status, 1836-88; Civic pride: towns into cities, 1888-1914; Civic status and civic promotion: the inter-war years; Politicians and City Status, 1945-69; Boosting the Town, Selling the City 1970-2000; The Millennium competition; The Golden Jubilee competition, 2002; Conclusion; Appendix: United Kingdom cities in 2002; Bibliography and references; Index. John Beckett is Professor of English Regional History at the University of Nottingham, UK.